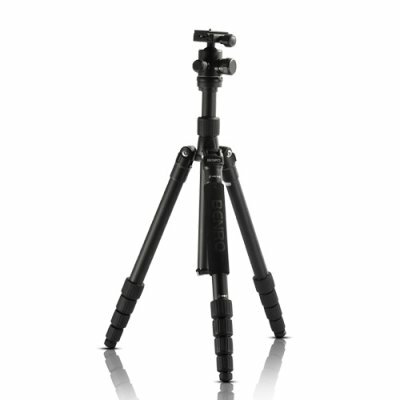 Successfully Added Benro A2691T Travel Angel Tripod Kit with B1 Ballhead to your Shopping Cart. Compact Design: The tripod legs can be inverted and folded back 180 deg, making it small enough to carry just about anywhere. Adjustable Leg Angle Stops: legs can be independently locked into place at two different angles to enable shooting in cramped quarters. Patented Dust & Water Resistant Rubber Lock Grips with Anti-Rotation design. Ingenious Leg System: Benro’s innovative rubberized locking grips combined with anti-rotation legs enable fast and fumble-free set-up. Center-Column Hook: A hook, located on the bottom of the center-column, allows you to hang additional weight from the tripod’s center. Carry Case with Shoulder Strap: High quality, durability case with strap to provide protection and transport for your tripod and head. Weather and dust-resistance not found on other tripods. Original Benro A2691T Travel Angel Tripod Kit direct from factory.